Our guide to the 7 books that promise to make you a better business writer. Writing well is more important than ever. Now almost everyone writes for work – from emails to research papers, presentations, memos, letters, social media posts and more. And yet, few of us are trained in how to write well. So if you’d like a crash course in the fundamentals of good writing, here are seven books guaranteed to help you improve. Ogilvy’s book On Advertising is something of a snapshot of the Golden Age of US advertising. And, while entertaining, it also contains some timeless and valuable advice about writing, including some frank insights on how to write to persuade. Who better to learn that from than probably the best copywriter of the modern age? On the outside, Bill Bryson may seem like something of a jolly old uncle – his writing cheerful and uncomplicated. But Bryson is an author of rare skill, especially when it comes to taking a mass of complex information and turning it into something simple and entertaining. Although ostensibly a reference book, Troublesome Words gives you some understanding of just how he does this. Better still, it gives you a few laughs along the way. The newest book on our list, Everybody Writes, provides sound advice on how to write in the digital age from content expert Ann Handley. It starts with the premise that everyone must now think of themselves as a writer. And it’s jammed full with information on how to communicate effectively in a business context, covering emails, blogging and writing for social media as well as more general advice. No list of writing books would be complete without The Elements of Style, or “Strunk & White” as it’s more commonly known. 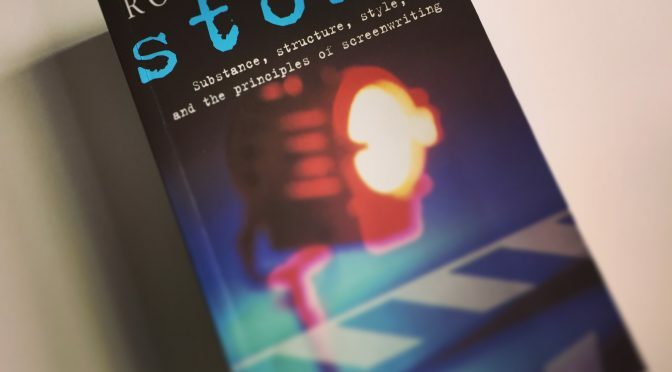 It’s probably the one writing book that adorns the shelves of every university literature student, journalist, copywriter and professional writer around the world. The authors may be long dead but their general advice – Be clear, Use the Active Voice, Write with Nouns and Verbs, Avoid Fancy Words, etc – remains as important as ever. One of Australia’s leading fiction writers reveals her secrets in this clear, simple and practical six-step guide to writing. It is as useful for students writing essays as it is for people looking to brainstorm ideas, write an article or thoroughly dissect their writing style. It might be about screenwriting but Robert McKee’s Story is a must-read for any writer. Known for his famous “Story Seminars”, his book emphasises the importance of structure and narrative, or “story”. McKee has been subject to much publicity and criticism, and he and his writing seminar were immortalised in the 2002 film Adaptation (a great piece of writing in itself). Get in touch if you’d like to know more about Antelope Media’s seminar on how to write, Big Impact Writing. Alternatively, we can help your organisation cut through with the best quality copywriting and content marketing. Related services: Copywriting, Corporate Writing and Editing, Content Marketing, Big Impact Writing. Contact us to see how Antelope Media can add value to your business. Best copywriters in Sydney. They are extremely versatile. They can write for web, print, social media, editorial etc and excel at bringing professional services copy to life! TBAS has been a client of Antelope Media for over 12 months and the content they produce is always extremely well researched, on time and competitively priced. Antelope Media have taken our content to the next level. Thanks to their professional and reliable service and the care taken in how to best target our readers, we have seen an increase in readership for our blog. Super happy! We've worked with Antelope on our content strategy and management for a number of years now. We've found them to be highly responsive and very knowledgeable on what works for our business. I have no hesitation on recommending them for businesses who are looking to outsource this important part of their marketing strategy. Antelope Media are our content partners to some of Australia's most prominent real estate agents and brands. The quality and speed of their work is second to none. Can content marketing sell a home?